And it’s coming to Europe, to France! From May 19 to May 24, Montpellier will host the Fourth World Congress on Agroforestry. "Make our planet tree’d again" is the Congress motto. The "crème de la crème" of global agroforesters are convening for the biggest agroforestry gathering our planet has ever seen. Over a thousand fresh scientific insights will be presented by hundreds of speakers. Events throughout the city will bring agroforestry closer to everyday life. Field trips to surrounding agroforestry farms, tastings of agroforestry products, a gala dinner and dozens of side events will make for a busy week indeed. Dont miss the pre-congress events on Sunday 19. Wow! We knew agroforestry was the absolutely not-to-miss new thing to do but even so, we are a bit overwhelmed by the sheer scale of the response we've had! There are nearly 1.200 people from about 110 countries who have so far registered for the congress. The scientific programme of all parallel sessions is now on-line, both oral communications and posters. Go and browse, you are bound to find something that is exactly what you were looking for! The detailed schedule will be available soon. 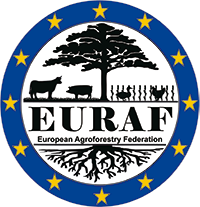 EURAF will proudly display agroforestry practices and achievements in a «Agroforestry Tour of Europe» exhibition during the congress. High level keynote speakers, including scientists, decision-makers and top-level politicians will share their views with the attendees, including someone that you dont expect. Come and enjoy yourself. We offered nearly 150 grants to participants from around the world, thanks to our generous sponsors and partners. About 25 public agencies, foundations and private companies have seized this chance to address the agroforestry challenge with us, and we honour them for it. Thank you! Montpellier 2019 is going to be just great – we can feel it! Come, get your friends to come! Remember, this congress is definitely going to be the largest agroforestry event ever. More details about the context and the congress in this interview of Emmanuel Torquebiau, Chair of the organizing committee, and Christian Dupraz, Chair of the Scientific Committee.